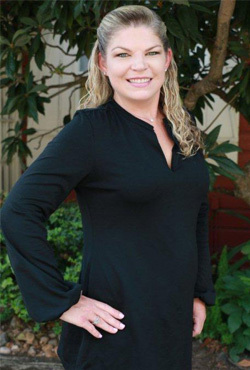 Stacy Crowe-Simonson, Executive Chef, a native of Brownsville, Texas, began her culinary career at Chez nous in 1994; in 1998, she continued her training at “Chateau des Reynats,” a prestigious Michelin-starred establishment in Perigeux, France. She then joined Fabrice Poigin at “Vignola” in San Diego before returning home to Chez nous. She brings great balance and boundless enthusiasm to the kitchen. Her strong classical training shows thru in her flawlessly executed dishes, and her most innovative offerings are simply delicious. In Stacy’s kitchen, the food tastes like itself. 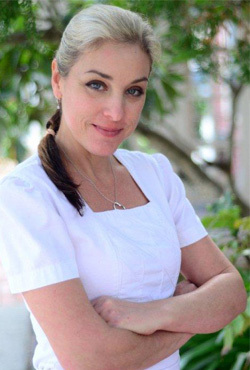 Chef Stacy launched La Cuisiniere, North America’s first female chef wear, in December of 2007 www.lacuisinierechefwear. 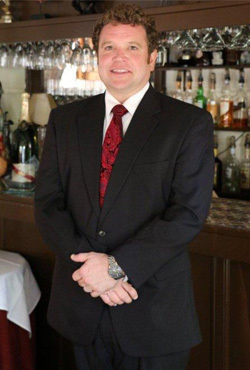 Scott Simonson began his Restaurant career in 1988 at the Peach Tree Yacht Club in Atlanta. 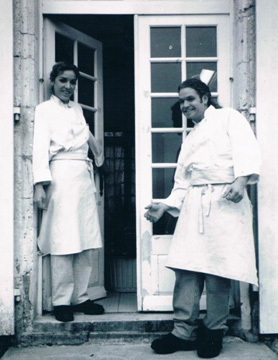 From Atlanta, he went on to work in kitchens in the USVIs and then to Chateau de Monbazillac and Chateau des Reynats, both in Perigueux, France. Upon return to the U.S., he served at the Laurel restaurant in San Diego before joining Chez nous as Sous Chef in 2003. With the kitchen getting stronger under Stacy’s benevolent dictatorship, we decided to put Scott’s considerable talents to use in our dining room where he is quietly making his presence felt. He is also our in-house Wine aficionado/encyclopedia and buyer. It is not uncommon on a busy night for Scott to remove his jacket, don an apron and take a station in the kitchen.